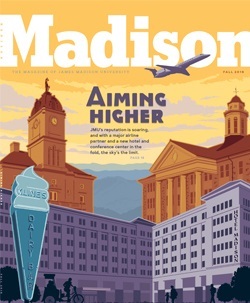 This month SHD is proud to be part of the cover story for Madison magazine’s “Aiming Higher” edition – a publication of James Madison University (JMU). For those of us that call the Shenandoah Valley home, JMU is one of the cornerstones of our community. However, JMU’s reach extends beyond the Valley towards a vision of being both a nationally and internationally engaged university. In fact, President Jonathan Alger was recently appointed to the American Council on Education and joined leaders from the U.S., Canada, and Europe to discuss important issues facing higher education. “As JMU now has a seat at such lofty international convenings, and as we seek to pursue our vision to be a national and international model of the engaged university that is engaged with ideas and the world, I was struck by the importance of having improved air access to our own campus now that United Airlines partnered with SkyWest is flying in and out of Shenandoah Valley Regional Airport,” explains President Alger. To read President Alger’s letter (page 7) and the full Aiming Higher article (starting on page 18) in Madison magazine, click here. For students, staff, faculty, and visitors to JMU, easy and reliable travel access has been a barrier to the engaged university mission. Today, we’re proud to say this is no longer the case. United’s jet service powered by SkyWest at SHD is opening national and international gateways for JMU travelers like never before. “In today’s world, with all the moving parts and busy agendas and wanting to maximize your time, having a local airport that’s 20 minutes away from campus is terrific. The drive here is beautiful. It’s a lot less hassle going through the gates and checking your baggage. There are a lot of advantages that you’re just not going to get at a larger airport,” says Melissa Lubin, dean of Outreach and Engagement at JMU. Take a look at the Aiming High video featuring JMU staff explaining how SHD is helping them achieve the goal of an engaged university. Support from the community is vital for SHD to sustain and expand our services. 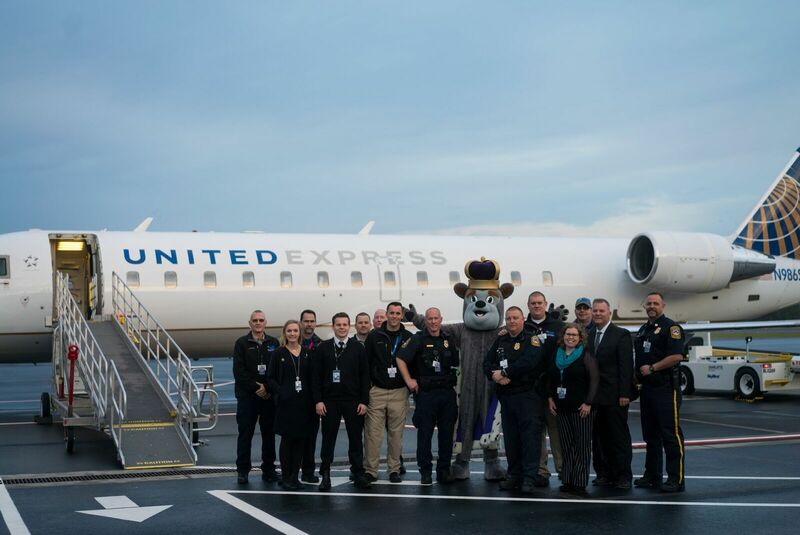 A special thank you to everyone with JMU that has made SHD their go-to airport – Go Dukes!